Hamilton is set to drive Bolt round the 3.4-mile Circuit of the Americas track in a Mercedes-AMG road car. 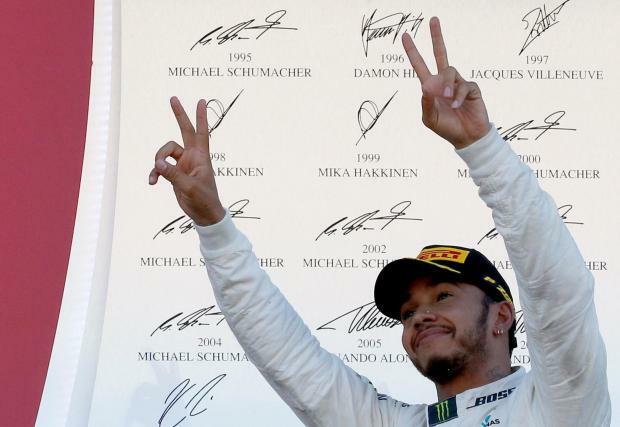 The eight-time Olympic champion, who hung up his running spikes following August's World Championships in London, will give the signal to Lewis Hamilton and Co to start their formation lap ahead of Sunday's race in Austin. As part of a star-studded line-up thrown together by Formula One's American owners Liberty Media for their first grand prix on home soil, boxing announcer Michael Buffer will introduce Hamilton and the rest of the pack one-by-one on to the grid ahead of Sunday's race. F1's new owners have also taken the unprecedented step of changing the sport's schedule to accommodate a Justin Timberlake concert. Pop star Timberlake is due to perform at the circuit on Saturday evening - and following a request by promoters of the Texas race - qualifying will be moved back by two hours. It means the one-hour session that determines the grid will now take place at 4pm local time. "We continue to layer in new elements at each grand prix and this innovative driver presentation format seemingly was an appropriate addition for Austin," said F1's American commercial chief Sean Bratches.